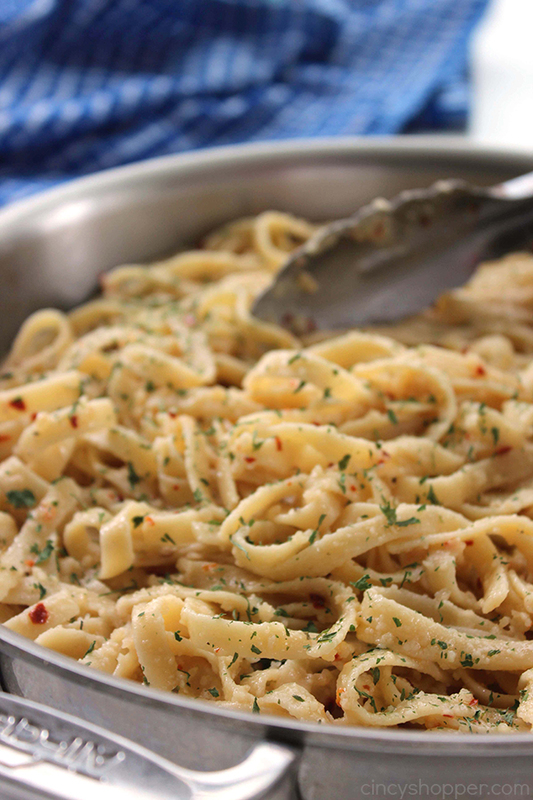 These Easy Garlic Parmesan Noodles are a perfect side dish with just about any meal. Butter, garlic, noodles, Parmesan, and a few minutes of time needed are all that are needed for this family favorite pasta side. 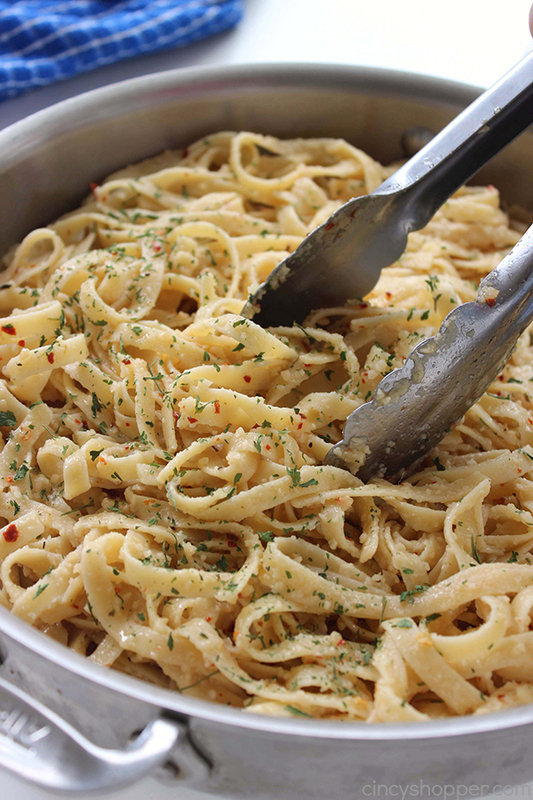 We are big fans of Lipton Noodle side dishes. 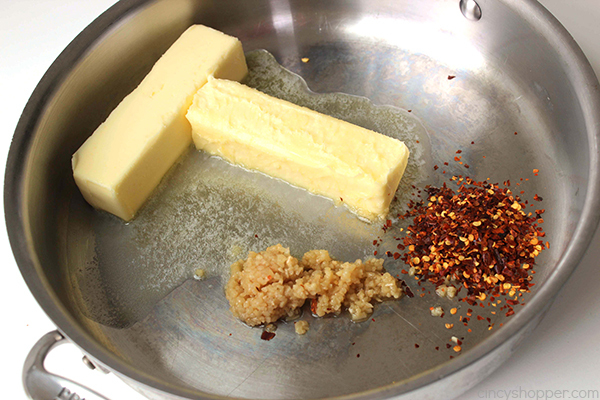 They are simple and work great with chicken, pork, or any other meat we are making for dinner. 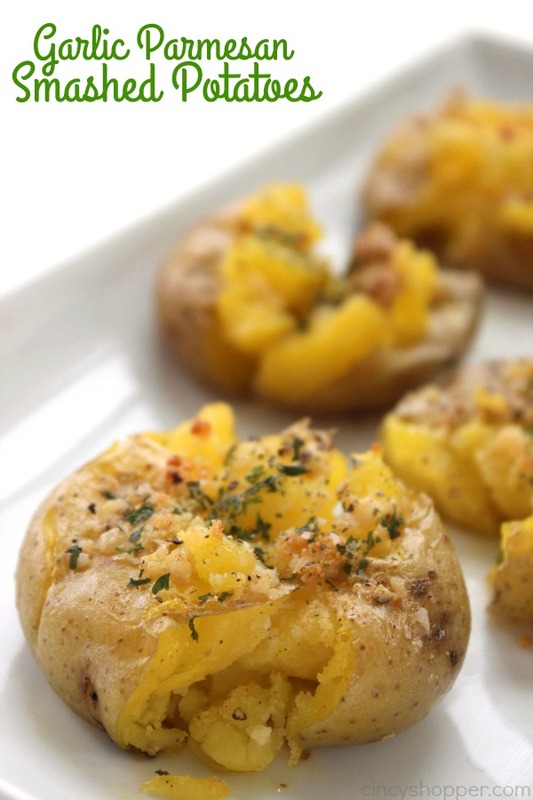 I use to keep the store bought packages on hand in the pantry for a quick dinner side dish. 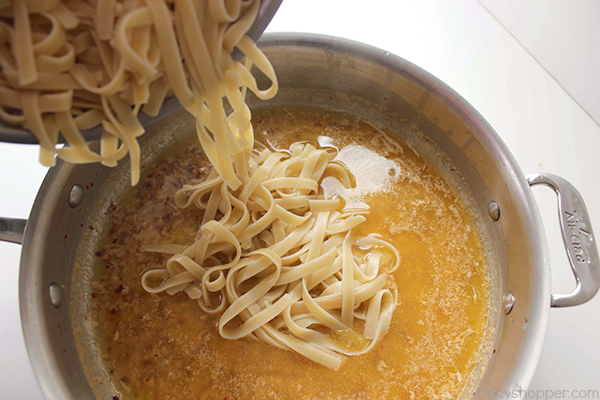 For the past year or so, I have been making our own homemade noodles. 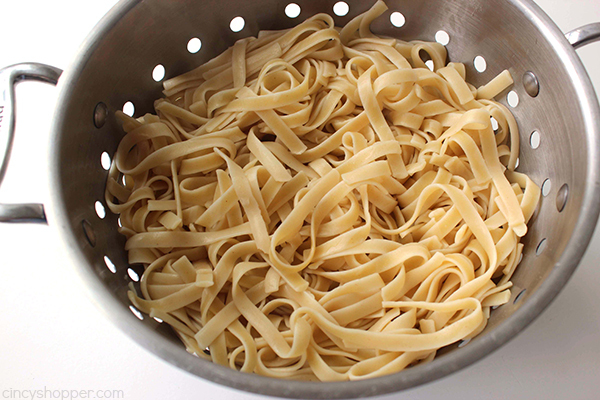 I keep many different varieties of pasta on hand so I can whip up our own homemade versions right at home. 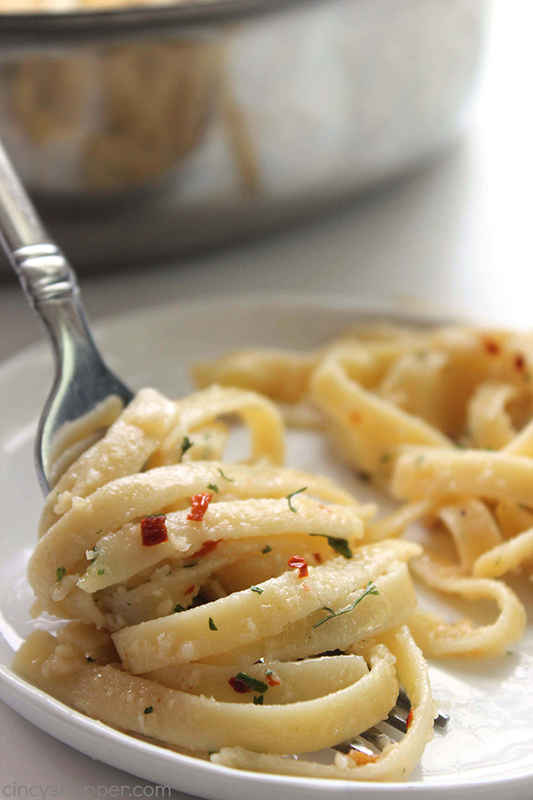 For these Easy Garlic Parmesan Noodles, you can use spaghetti or fettuccine noodles. 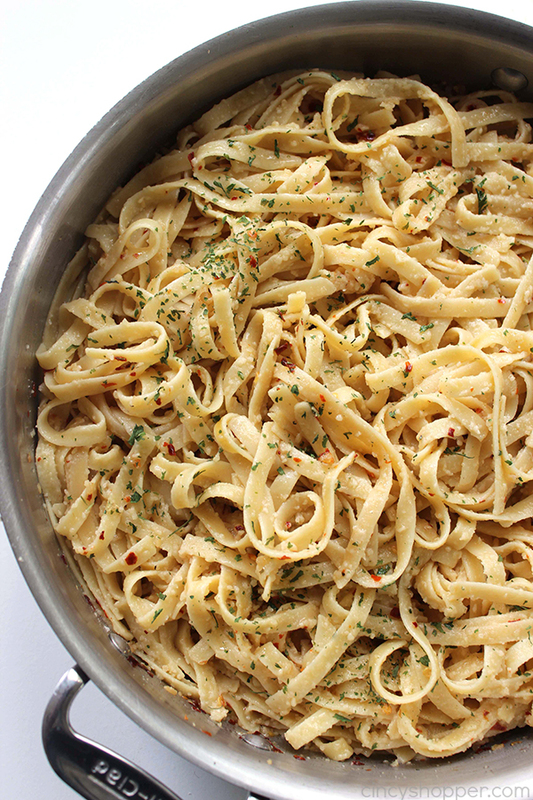 Just about any pasta will work. 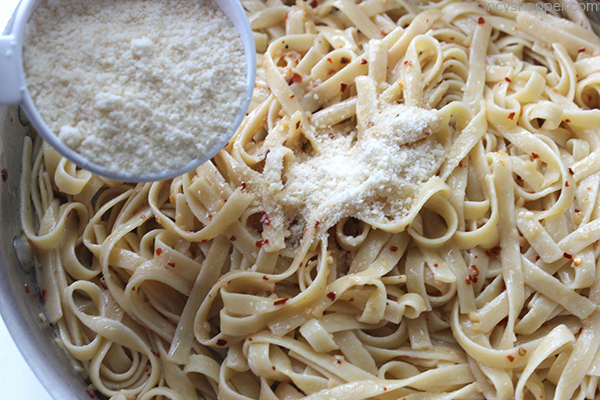 My entire family loves garlic and parmesan together so this side is always a favorite. I make an entire box of noodles for our large family. 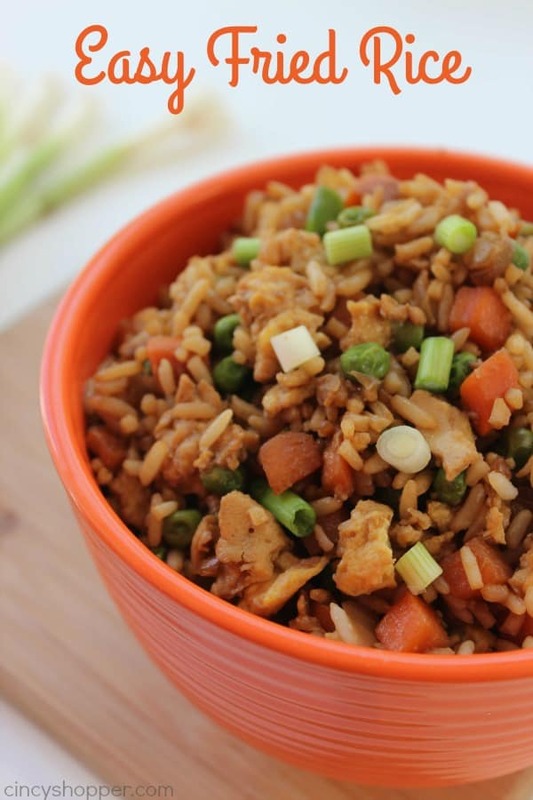 If there are leftovers, I toss them in the fridge to use for a snack or with lunch. If you have a small family and only needing a small amount, you could half my recipe very easily. 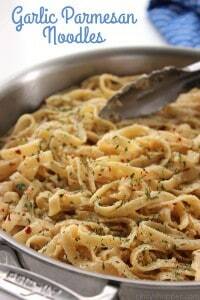 I think our Homemade Garlic Noodles are better than store bought. 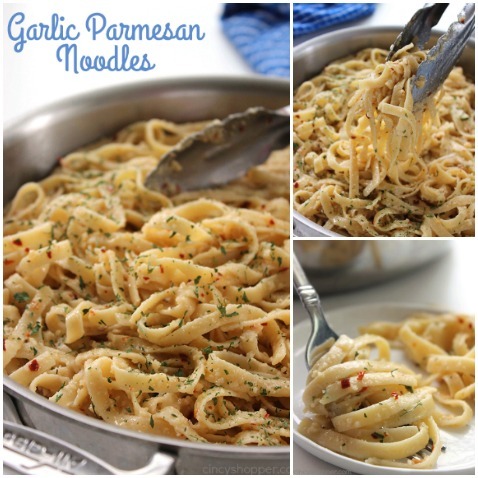 They have tons of garlic flavor and the parmesan tastes so much better than the prepackaged stuff. 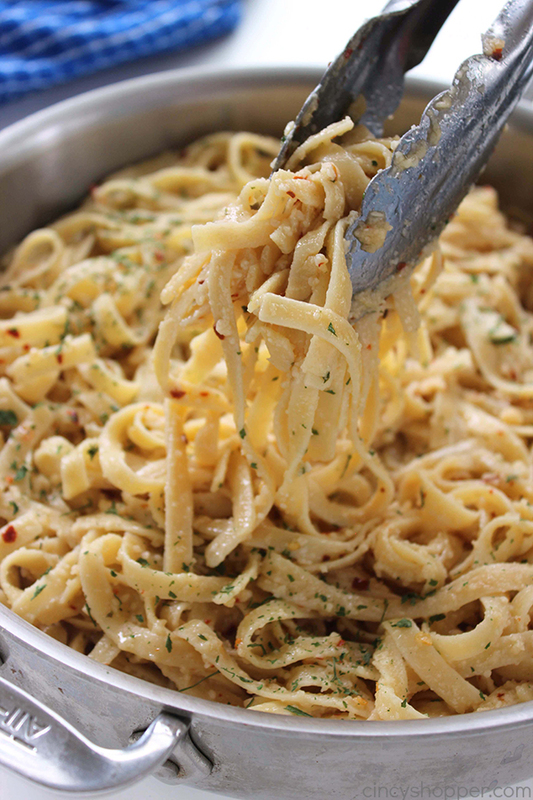 If you plan to make these Garlic Parmesan Noodles you will need pasta, butter, garlic, crushed red pepper, and parsley flakes. 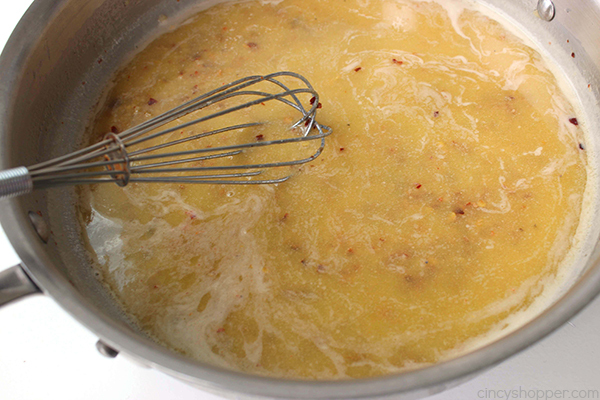 You can have your side dish ready in about 15-20 minutes time. So super simple. 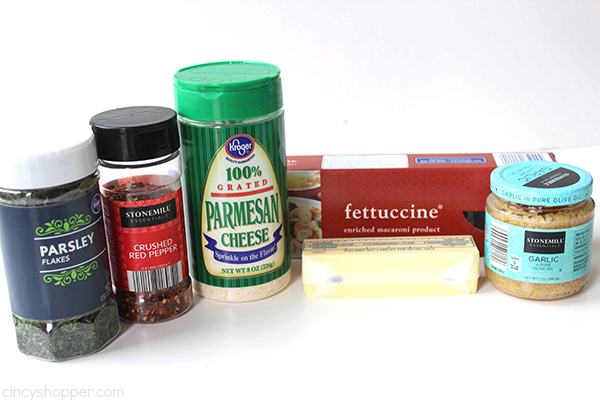 Cook fettuccine according to box directions. Drain and set aside. This is probably very delicious, but the fat content is way over the top. I calculate about 250g of fat for the recipe. Divide that by 4 – 6 servings and it’s still way too much for any individual to eat in a whole day. So sorry. Yes please! like to do a meatless meal once or twice a week to keep cost of groceries down. This is perfect! We make something similar for my picky daughter all the time. Thanks for the recipe. Thanks for linking up to Merry Monday! Sharing on G+! Have a great week! make me drool! great recipe! Yum! I need to try this! 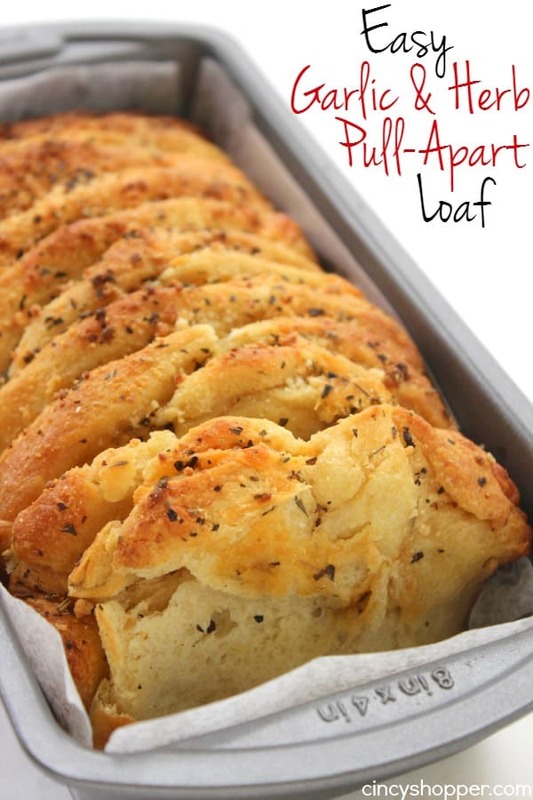 Thanks for linking up with the delicious dishes recipe party this week! Looks so delicious. I can’t wait to make it! It was soooo good and easy to make!! Thanks for the recipe! 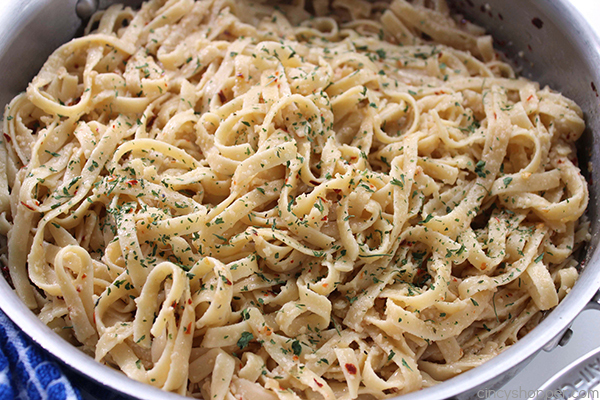 I love this pasta dish! Simple but very tasty. I will be taking it our annual Oscar Nite party. It is going to be a real hit. I also sprinkled a little chopped italian parsley on top to add to the pretty colors of the crushed peppers! Thanks so much for sharing. This is my new favorite pasta! Loved it, thanks for sharing! I did a little Italian seasoning to mine. Curious, what did you add to yours (in the pic there is some green seasoning).